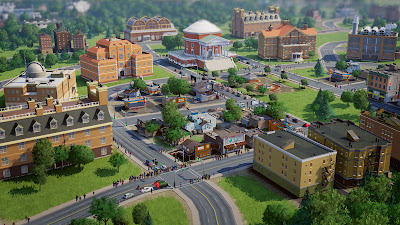 PTSuks Uncanny World: Video : Two New SimCity Videos Are Gorgeous and Entertaining! Video : Two New SimCity Videos Are Gorgeous and Entertaining! Two new videos are up on the SimCity youtube channel that give teasers to how the new SimCity will function and how disasters may occur! The videos are both beautiful and I can't wait to get my hands on the game, hoping to get into the beta! Yeah, I already preordered! WOOT! Take a look at the vids below and see if you don't as well! 2013 Can't get here fast enough! hehe.